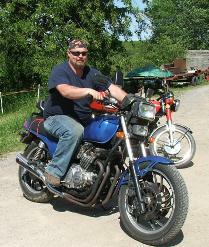 Robert Angelo is the owner/manager of Skye’s Spirit Wildlife. Robert has built enclosures for the rehabilitating wildlife and has provided extensive educational programs throughout Pennsylvania and Ohio. 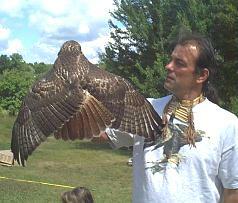 Robert brings his love of Wildlife and his Native American Heritage to the public at many Powwows throughout the year. He is a retired Arborist/Tree Climber and has rescued many animals and birds and has been able to climb trees to replace animals that can be re-homed. Marcia Dibbern, our volunteer coordinator, has been volunteering at SSWRC for 8 years and has been an integral part in creating the gift shop, Medicine Wheel Garden, and getting everything ready for our several events that we have each year. Marcia is also an excellent caregiver to the wildlife as she brought many years of experience with her when she moved from Massachusetts. 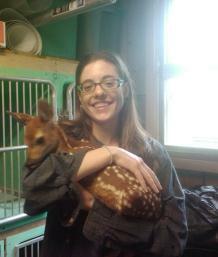 She was a volunteer at Tufts Wildlife Center. 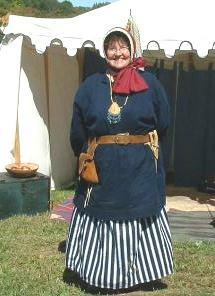 Her and her husband Dawson participate in Rendezvous as she’s demonstrating in this photo. Bob and Sally Giles have been such a wonderful help here at Skye’s Spirit. Bob has helped with many enclosures, festivals, educational programs, and more. Sally is wonderful with caring for the wildlife, is a turtle expert and a great storyteller. Both have added greatly to our center. They have 2 sons, Robert who is a boy scout and has done several projects here and John who enjoys coming here for all the events. 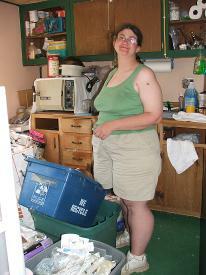 Maryjane Angelo is a state of Pennsylvania and US Fish and Wildlife Service Licensed Wildlife Rehabilitator and Educator. 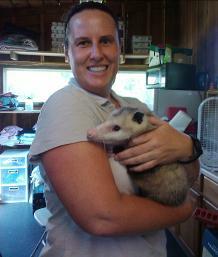 She is the Executive Director of SSWRC and is the primary caregiver for all the wildlife at the center. She has extensive experience in wildlife triage, rearing orphaned wildlife and the training of non releasable wildlife for educational use. Maryjane has dedicated her life to the wildlife that is in her care. 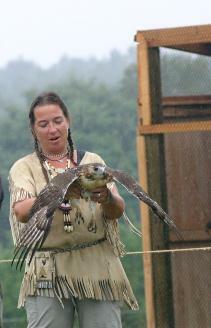 She combines her love of animals with her Native American Heritage to teach the community about our environment and how to conserve the earths resources. Our newest volunteer, Kathy Jackson is our Fundraising and Advertising/Marketing Coodinator. She has extensive computer experience and is a great help at updating our flyers and typing in the hundreds of animal files we have to keep track of. She is working hard at helping us raise the much needed funding for the animals. She is also a great help with animal care!! Becca Wächter is our summer intern. She attends Delaware College for biology and zoology. She is wonderful at helping care for all the wildlife here at SSWRC.  Here dream is to someday work with Big Cats.